"Oh, no. I think I screwed up. This is an SACD." Despite the fact that I'm trying to become educated about all the competing digital formats these days, I can still come off as a knucklehead at times. At the recent New York Audio Show, I went down to the marketplace to buy something interesting to play for the attendees--something that has become sort of a tradition for me. I headed straight for Acoustic Sounds because they've been steering me right lately, especially when it came down to that Sam Cooke LP I bought at the Rocky Mountain Audio Fest last October. Since we weren't playing vinyl at NYAS, I was looking for a show-stopper of a CD, something like the Lim hi-rez discs I purchased at AXPONA New York almost two years ago. The Acoustic Sounds booth was stacked to the rafters with LPs, however, and little silver discs were few and far between. But I saw something that caught my eye: Shelby Lynne's Just a Little Lovin'. I already had an LP copy of this back home. That's an interesting story in and of itself--Colleen and I got it in trade from Jeff Joseph of Joseph Audio for a rare vintage Apple t-shirt. Jeff warned us that the LP was just a garden-variety pressing from the original release, not Chad Kassem's well-received remastering for Acoustic Sounds. I played it several times, however, and thought it possessed excellent sound quality. In addition--and this is a tribute to Jeff, an avid LP collector--this copy was pretty close to pristine. I thought to myself, "If the regular version is this good, I wonder how good Chad's version is!" So I scooped up what I thought was the CD version of the Acoustic Sounds JALL and headed back to my room. In the elevator I removed the wrapper and then started seeing the SACD logo everywhere. "Crap," I thought, "this isn't going to play in our system." We were using the splendid MSB Platinum Data IV transport, which is NOT a universal player. I thought wow, I just blew $30 for nothing. I didn't want to return it to Chad and look like a doofus, so I started thinking about how I could sell it on eBay and cut my losses once I got home. Needless to say, it played perfectly with the MSB transport. I figured that the MSB had a few more features than I realized, so I thanked my lucky stars. The disc turned out to be a major hit at the show, one of the two or three CDs I played whenever I wanted to really "wow" the room. When I got home, I found that my lucky streak had continued: my Unison Research Unico CDE player, which plays only CDs, had no trouble with this SACD. That's when I realized that most SACDs these days have a redbook CD player layer on them--the labels are just getting lax in mentioning this on the cover. Sure enough, upon closer inspection there was a tiny little "compact disc" logo in the lower corner. Once I knew I could play the disc, I decided that a comparo was in order. The Acoustic Sounds SACD sounded so good at NYAS that I thought it could easily beat the non-Acoustic Sounds LP. To a certain extent, I was right. The bass guitar on the opening title track was far deeper and more fleshed out than on the LP. The dynamic contrasts, therefore, were just a shade more vivid. But with the first gentle touch of the ride cymbal, I noticed that the decay on the LP was longer and had more texture. These basic signatures carried on throughout the rest of the comparison--the SACD was more quiet in the quiet passages (and this album revels in its quiet moments), and the bass was more authoritative and realistic. The digital version also sounded less grainy through the upper midrange and lower treble. But the LP contained so many sonic epiphanies--moments where the music just sounded far more real and convincing and delicate. Overall, I'd have to say it was a toss-up; I think both sound wonderful. I guess the ultimate version must be the Acoustic Sounds LP version--the best of both worlds. Browsing through my classical LP collection, I can find numerous examples of programmes that seek to contrast the older schools of thought with modern pieces that are far more dissonant and atonal. Many of these recordings were from the '50s and '60s, and the somber thought that immediate arises is that in 2013, we are as temporally distant from some of those recordings as they were from the original compositions. While it's discouraging to think that classical music has not continued this amazing arc of progression over the last few decades--in many cases we have gone backwards--it's rewarding to see that old habits die hard in the classical world. Accomplished classical ensembles still strive to illustrate those differences, and in fascinating and intelligent ways. 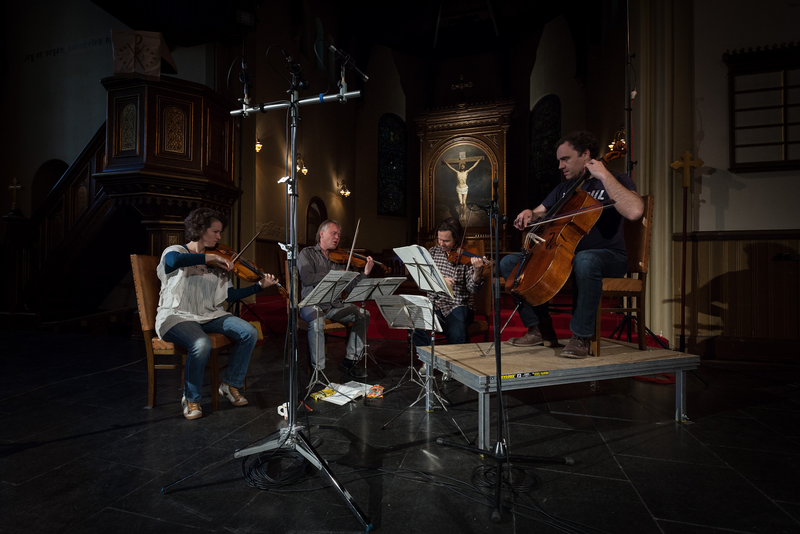 In the case of these recent classical recordings from 2L Recordings in Norway, the musicians aren't just satisfied with dramatic juxtapositions of musical styles, but with the profound similarities that bridge across decades and even centuries. Engegardkvartetten. What an incredible word, from an incredible language, for an incredible group of musicians. Known in English by the slightly less exotic moniker of the Engegard Quartet, this string quartet has just produced its third recording for 2L--this one comparing a 1772 quartet from Joseph Haydn to a 1992 duplex for violin and viola from Arne Nordheim and a 1934 string quartet from Bela Bartok. (The first volume offered Haydn, Solberg and Grieg, and the second matched Beethoven, Nordheim and Bartok.) In past century-spanning surveys from the 2L, the transitions between the pieces weren't obvious and much as seamless and logical, with a continuity of tone that made perfect sense for knowledgeable listeners. String Quartets Vol. III, however, is a sonic roller-coaster ride that leaps out at you and challenges you connect the dots. Are Arvid Engegard, Atle Sponberg, Juliet Joplin and Adrian Brendel daring you to follow, or is there a deeper and more obscure agenda? Clues abound in the liner notes and on the 2L website. The Haydn piece, String Quartet in G major, op. 77, is descibed as a "joyful opening," while the Nordheim piece, the aforementioned Duplex for violin and viola, is accurately presented as "an extreme work...filled with contrasts, virtuosity and beauty." (Bartok's String Quartet no. 5 is only described as an "undiputable masterpiece" and probably serves as the proverbial bridge between the first two works.) 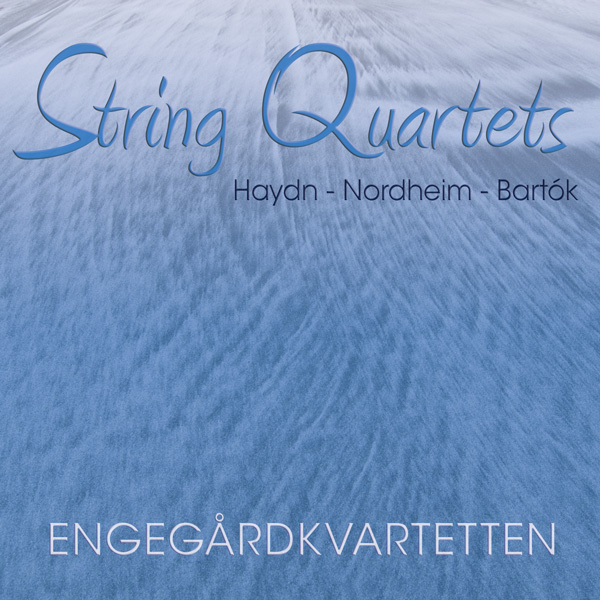 It becomes the listener's duty to cross those bridges, to discover Nordheim's awe of Bartok despite the fact that quartet leader Arvid Engegard feels the two pieces are "far apart aesthetically." The gaps are harder to fill between the delightful Haydn and the other two works, the only similarity seems to that the Haydn piece and the Bartok piece are both late works in their respective canons. In the interview included in the liner notes, Endegard merely explains that the quartet wanted to play pieces that were close to their heart. Where this enigmatic program shines, however, is in the partnership between the recording itself and the performances. Once again, and this is becoming old news to me, the incredible sound quality brings these mysteries out into the sunlight, so to speak. The placement of the musicians in the three pieces vary in interesting ways--the players sit slightly farther apart in the Bartok than they do in the Haydn piece, and you can hear this increased spacing on an excellent audio system. The Nordheim piece, however, is performed by only two of the members, and their contributions are virtuostic and demanding to the point where you may still think four musicians are on the stage. That's the 2L way, always throwing something into the cauldron for those with developed senses. It's wrong to blithely recommend such difficult music since I've chased my share of audiophiles out of exhibit rooms with this type of musical fare. But recommend it I will, because you will never hear a better recording of a string quartet in a more revealing venue in your life. Are you the type of classical music lover who can appreciate Haydn and Bartok in a single sitting without suffering from whiplash? Then brother, I have a stupendous recording to share with you. A great recording of a piano duo should do one thing above all others, and that's clearly detailing the interplay between the two instruments and pianists. 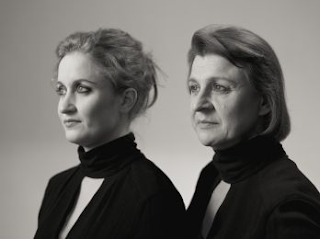 What makes the new 2L recording Hommage a Grieg so fascinating is that the Dena Piano Duo actually consists of a pianist, Tina Margareta Nilssen, and her former music professor, Heide Gortz of the Berlin University of the Arts. I'm not going to tell you that Morten Lindberg of 2L has captured this recording so accurately that you can hear the teacher leading the student through these pieces, or the student blossoming on her own and the teacher standing back approvingly and proclaiming, "Alas, the student has become the teacher," or some nonsense like that. What knowledge of this special relationship does add, however, is a uniquely human touch. As we listen to two accomplished pianists, a generation apart, we hear two human beings who have clearly spent a lot of time playing together and undoubtedly enjoy it beyond all measure. Hommage a Grieg is, in true 2L form, a homage with a twist. While the connection in The Schubert Connection I recently reviewed is complex and ultimately becomes a somewhat rhetorical exercise, the links between these pieces from Johannes Brahms, Wolfgang Plagge, Terje Bjorklund and Camille Saint-Saens exhibit a more simple theme--despite the fact that there isn't a Grieg tune on the entire album. 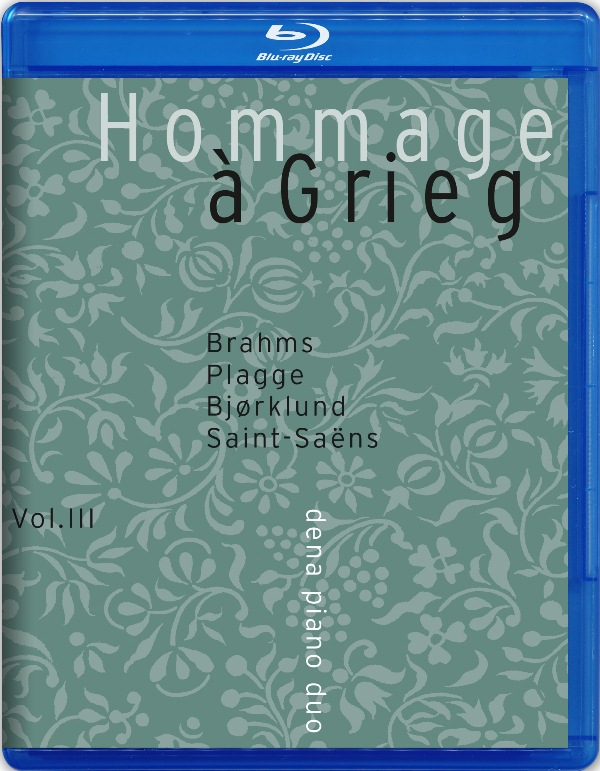 Brahms and Saint-Saens were friends of Edvard Grieg, and Grieg in turn used what he learned from his two colleagues as inspirations that can be deduced--by trained ears--from the selected pieces (Variations on a Theme by Joseph Hayden for two pianos, op. 56b and Variations on a Theme by Beethoven for two pianos, op. 35, respectively). These classic pieces bracket two commissioned works by modern Norwegian composers Plagge and Bjorklund that are direct tributes to Grieg. While the later pieces are notably distinct in style compared to the Brahms and the Saint-Saens, the ebb and flow of the entire program is consistently engaging. Sonically, this recording is no less impressive than anything in the 2L catalog. The aforementioned interplay between the two pianos is thoroughly engaging; these two women are not situated at opposite ends of a stage but pushed rather close together to form an intriguing where-I-end-and-you-begin aesthetic. I recently mentioned a comment I heard from Bob Clarke of Profundo when we discussed audiophiles' fondness for female voices. He prefers a grand piano recording in order to judge a sound system. As I listened to Hommage a Grieg, I kept thinking about Bob's comment and subsequently reduced it to "What's better than a grand piano? Two grand pianos!" If the dynamic range of a single grand piano gets your motor running, double that and you'll know why I find this recording so novel and exciting. I took a quick survey of my LP collection, which is predominantly classical, and I'm a little embarrassed to admit that I couldn't find another recording of a piano duo. As I said to myself, "That should be remedied immediately," I noticed something written on the cover of Hommage. It said: Vol. III. Indeed, this is the third Dena Piano Duo recording that 2L has released: Vol. 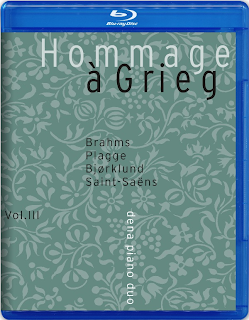 I and Vol.II both feature a Mozart and Grieg program. These are obviously worth investigating--for the lovely, rich and dynamic sound of two pianos recorded in yet another glorious Norwegian church, and for the challenging themes that will test your knowledge of classical composition. We just returned from the New York Audio Show, and frankly we're exhausted at CCI. New York is always a bit tougher when it comes to trade shows--traffic is brutal, the cost of everything is exorbitant and the attendees are knowledgeable and predictably hard to please. That said, I love New York. 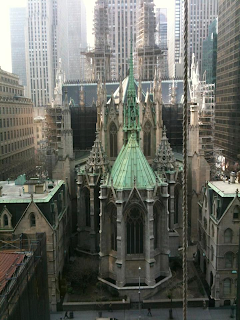 I love the food, the excitement, the gorgeous architecture (the show was held at the legendary New York Palace Hotel, and our room had exquisite views of St. Bart's and Rockefeller Center) and the food. Did I mention how much I love the food in New York? While the hotel restaurant took some criticism for its tasty $13 bagels and remarkable $25 burgers--you could almost hear the ghost of Leona Helmsley yelling, "but it's worth it, you whiners!" --Colleen and I managed to hit Peter Luger's in Brooklyn with Jeff Joseph of Joseph Audio and Rob Robinson of Channel D. After the show, we snuck off to New Haven, Connecticut, to indulge in one of the finest pizzas on earth--Modern Apizza. (When we visited last year, we hit Pepe's.) Modern Apizza--my God. We had equipment in three rooms. First was the MAD room, which Colleen and I ran. We featured the MAD Duke Royal Limited loudspeakers, the MAD 1920S mini-monitors, the PureAudio Reference monoblock amplifiers, the PureAudio Control preamplifier, the MSB Data IV digital transport, MSB's The Analog DAC and Furutech cabling and power management. Unfortunately, the Dukes had been shipped one too many times--they've been to five different shows in the last few months--and they weren't quite sounding right. We substituted the 1920S mini-monitor and achieved incredible sound. We thought it might be a blessing in disguise, since many New Yorkers live in small apartments and are really looking for smaller speakers that sound great. We heard many people complain that all of the rooms featured gigantic mega-speakers that wouldn't fit into their digs or their budgets. In the context of our extraordinary system, the 1920S wound up being huge crowd-pleasers. 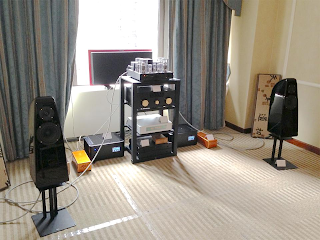 Here's a pic of the two speakers standing next to each other, with one of the incredible PureAudio Reference monoblock amplifiers to the side. This is the main system--the PureAudio amps and preamp, along with the MSB digital front end. I had a chance to play with the Data IV transport and The Analog DAC before the show, and I have to say that the build quality and the sound quality are both magnificent. The DAC is especially noteworthy because it looks like an isolation platform instead of a component. It's a solid piece of aluminum with small compartments milled out for the components, which isolates the circuitry. It's a gorgeous piece and offered some of the best digital sound I've heard yet. As I said, we used power cords, speaker cables, interconnects and a powerline conditioner from Furutech of Japan. The construction, fit and finish of these cable products were amazing--these are probably the most beautiful cables I've used. The connectors were polished and gleaming. Furutech, in its own way, made our room more beautiful. Yes, they sounded fantastic as well. Colleen and I were extremely happy with Furutech and will definitely use them again in the future--in fact, at the upcoming T.H.E. Show in Newport Beach in June. Here's a shot of the passive powerline conditioner. While the cables from Furutech are far from inexpensive, this conditioner retails for only about a grand--a considerable bargain compared to some of the other power management products we have used in the past that cost three, four or even five times as much. ...and the black one. The mismatched colors of the cabinets of the two speakers had some people talking, but the 1920S were originally meant to be part of a static display. We even had a white one for CES earlier this year, but they were part of the pair that I auditioned last year and they were sold to a customer. We joked about the colors representing the right (red) and left (black) channels, but we even switched that. MAD speakers are built to such close tolerances, however, that even a pair of different colors is perfectly matched. Here's the 1920S from the front. I've reviewed these before, so I won't go into much detail here. I will say that with all the exceptional ancilliary equipment, the 1920S sounded better than I've heard them before. We also provided the MAD Baron speakers for the Care Audio room four doors down. Care Audio is our brand new MAD dealer in Edison, New Jersey, and proprietor Sunil Lekhi amazed us with his ability to build and tweak and extremely musical system--one that went far beyond our expectations. The Barons are smaller two-way versions of the Duke Royal Limited, and this was the first pair we've brought into the US and therefore the first pair we have heard. From the pics we had assumed that the Baron was a slightly smaller floorstander, but when we saw them we were surprised to see how small they were. Sitting on the floor, they barely reached past our knees. They produced a huge, exciting sound from the floor, but the soundstage was unique in that it seemed to exist below the floor--like you were listening from a balcony. That's certainly a legitimate perspective, but probably one that wouldn't generally work in the audio marketplace. Then we realized that the Baron are indeed stand-mounted speakers, albeit with relatively short stands. Once Sunil found a pair of suitable stands, we were in business. The diminutive Barons throw up an amazingly huge soundstage, and they go fairly deep in the bass. And like the Dukes, they are gorgeous in both shape and finish. Jeremy Kipnis, of Kipnis Studio Standard (KSS) fame, is currently reviewing them. Colleen and I visited Jeremy and his wife Carolina in Connecticut after the show, and he was quite enthralled with their performance. Finally, Jeff Joseph of Joseph Audio used our Unison Research Unico 50 integrated amplfier in his room, which he shared with Cardas Audio and Channel D/Pure Music. Jeff and Rob usually achieve "Best of Show" sound quality in their rooms, and we were honored that he chose the Unico 50 this time. Their system was beyond reproach--is there a stand-mounted speaker that can throw up a bigger soundstage and can offer more bass than the Joseph Audio Pulsars? I don't think so. He played a rare recording of Louis Armstrong playing the classic piece "St. James Infirmary" and I've never heard Satchmo sound more alive and real. I've forgotten the entire story of the recording--it might have been from a rare master tape which Rob processed through the Pure Music software. It was better than the clam pie at Modern Apizza. watch one audiophile offer the sweet spot chair to another, only to have the other decline. "No, no," they would say, "you take it." And then both of them would sit elsewhere. It's as if no one wants to be a sweet spot hog! Here's a tip: if you walk into a room at an audio trade show and the chair in the sweet spot is available, take it! Don't worry about being impolite. As an exhibitor, I worked hard to make my room sound its best, and it sounds its best in THAT chair. Sit down. Enjoy. Stay there for an hour. I want you to! 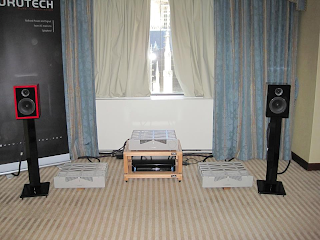 In Chicago, I had an audiophile walk into my empty room and then stand along the back wall and listen to the system. "Have a seat," I told him. "I'm getting some nasty room reflections against the back wall and it sounds awful there." He looked at me and sneered, "I'm aware." Then he walked out. In other words, he was more interested in showing how knowledgeable he was as an audiophile than hearing an excellent system. So please--show the sweet spot some lovin', dammit. Positive Feedback Exchange Now Online! High-end audio trading posts have been around for quite a while, but many audiophiles have been complaining about their experiences on such sites as eBay, Audiogon and others. Over the years I've bought and sold on these sites and have usually been satisfied with their services, but others haven't been so lucky. For instance, eBay has regulated shipping and handling costs to the point where most sellers actually lose money completing a transaction. Audiogon, on the other hand, has gone through so many changes and revisions in recent years that many buyers and sellers are turned off. So what makes the new classified service from the folks at Positive Feedback Online so special? Well, first of all it's run by true audiophiles, audio industry reviewers and one of the most trustworthy online audio publications in the world. These people are in it for the love of audio. I know, I know--it sounds like a line. But I've been associated with PFO for some time, and I have to say that these people have integrity, an increasingly rare commodity in the hi-fi community. For example, check out the site and you'll notice the high quality of the offerings. I just checked it a few minutes ago, and they're featuring such outstanding products as a pair of Magico Q7 louspeakers--my pick for the finest speakers on earth--for about $60K off the retail price. In addition, you get an outstanding forum where you can discuss audio with some of the most knowledgeable and friendly folks in the biz. I always get nervous selling gear on some of these sites--spammers run rampant and I've spotted some real shenanigans in the past (like the guy who wanted to sell me a pair of new, in-the-box Quad ESLs for an amazingly low price because he bought them for a disco in the Far East--yeah, right). The PFO site is new, unsullied by hucksters and run by some of the kindest and straightforward audiophiles I know. If you don't believe me, check out the site at https://exchange.positive-feedback.com/ and let me know what you think. I have a beautiful Rega P3-24 that I've needed to sell for quite a while, but I've been procrastinating because I dislike dealing with some of the other sites. I'm going to give the PF Exchange a try and I'll give everyone my impressions of it. I can't believe it's been nearly two years since Colleen and I went to the AXPONA Show in New York City and announced the start of Colleen Cardas Imports. 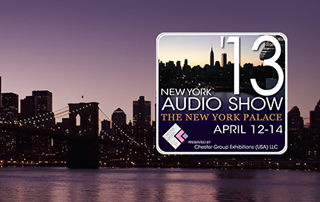 We're headed back to New York this week, but we'll be attending the New York Audio Show this time. Things have changed a bit since June 2011--we had no dealers back then and just two lines, Unison Research and Opera Loudspeakers. Now we have five lines--we added PureAudio, MAD Loudspeakers and MOOS Audio over the last few months--and around twenty dealers. At AXPONA, we exhibited in one room full of Unison and Opera. This week we will have the equipment in three different rooms. The main room Colleen and I will be running is the My Audio Design room, which will feature a system slightly like the one we demonstrated at the AXPONA Show in Chicago last month. (Above is a photo of that room.) We'll be using the My Audio Design Duke Royal Limited speakers again, as well as the PureAudio Control Preamplifier and PureAudio Reference monoblock power amplifiers. While I'd still love to have that analog rig in the photo--a Sota Millenia, SME iV.Vi and a Soundsmith Hyperion--we will not be doing vinyl this time. We have a surprise guest for a digital playback system, and you'll have to stop by to see what it is. Colleen and I will be manning this system in room 1015 for Timothy Jung of MAD. 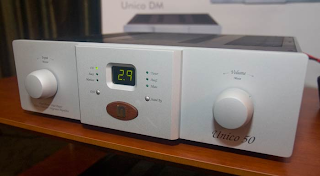 In addition, our good friend Jeff Joseph of Joseph Audio is borrowing the Unison Research Unico 50 integrated amplifier for the room he is sharing--1007--with Channel D/Pure Music. 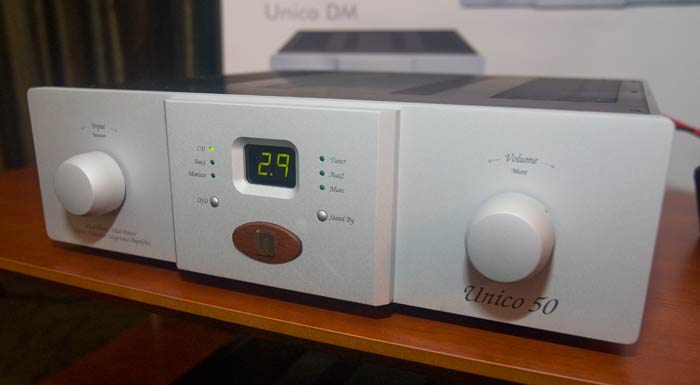 Jeff is well-known for achieving great sound at audio shows, and we're honored that he's using the Unico 50 at this show. Finally, you'll be able to see the US debut of the My Audio Design Baron loudspeakers in Room 1019, which is the Care Audio room. Care Audio is a brand new dealership in Edison, New Jersey, and they will be a MAD dealer once they open their doors. The New York Audio Show is a christening of sorts for Care Audio, and we are proud to be there at the beginning. The speaker you see in the photo is the actual Baron that will be at the show; the pic was snapped at the MAD factory in the UK just as the speaker was finished. 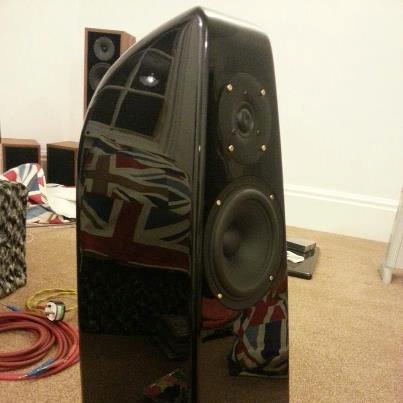 These are a smaller version of the Dukes with one less woofer per side and are more affordable. I'm looking forward to listening to them at the show. 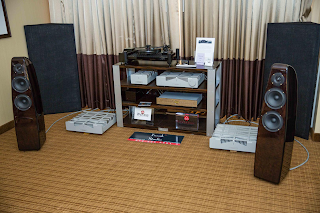 The upcoming New York Audio Show will be held at the New York Palace Hotel at the corner of Madison Avenue and 51st Street from April 12 through the 14th. 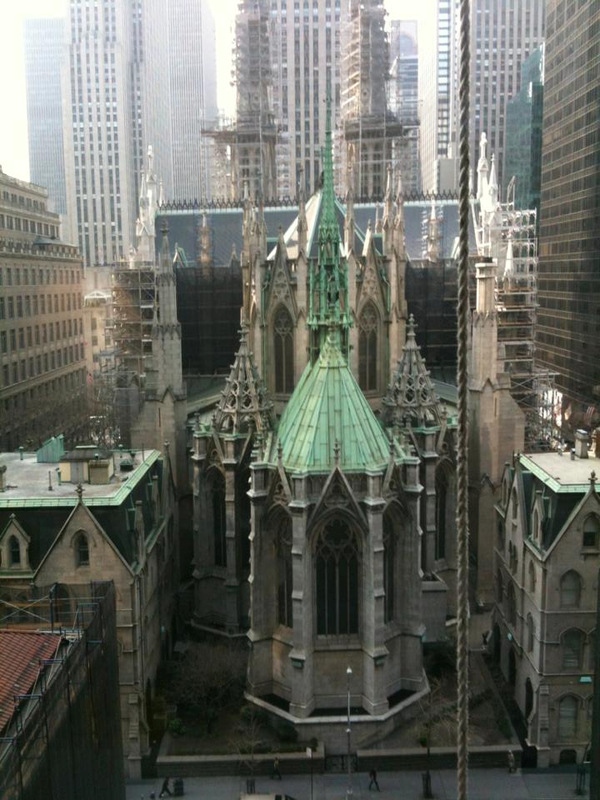 For more information on the show, check out the Chester Group website at http://www.chestergroup.org/newyorkaudioshow. Hopefully I will see you there! Duos have been the rage in indie music for at least the past decade. While the usual approach for these brave and lonely souls is to embrace a stripped-down, minimalist sound that celebrates rock traditions, it's always refreshing when two people can add enough layers and textures to completely sabotage that aesthetic. 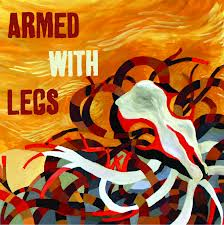 Armed with Legs, a pair from Seattle who have been together since 2008, have defied expectations by eschewing the guitar altogether. Those layered guitar sounds you hear are Jim Vermillion's mighty bass guitar, sounding like a traditional bass surrounded by at least three reg'lar electric guitars. Vermillion accomplishes this trick through a true act of quadrophenia--through each of these nine songs on this eponymous CD, he maintains at least four consistent voices. There's the bass player, steady and true. There's the guitarist who likes to bend and slide and provide a plaintive backdrop. There's another guy who's basically a crunchy, slightly atonal rhythm guitarist, and he's the one supplying the edge. Finally, there's the guitarist who likes to shred with the occasional solo. The only problem is that it's the same guy playing these four guitar parts--with a bass. If you listen to this album without knowing the lineup, as I did the first time, you won't believe what you're hearing. Oh yes, there's another guy on stage--drummer Nick Krivchenia. Don't think he's sitting in the background, overshadowed by all the bass guitar effects. 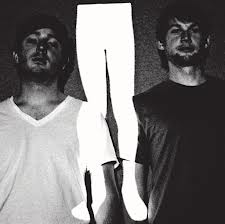 Armed with Legs has been favorably compared to such bands as Battles, which suggests the crazy, fecund genre known as math rock. Krivchenia's responsible for those comparisons with his unusual time signatures and for his refusal to fade away behind the tom-toms. He delivers a potent blend of speed, precision and delicacy throughout the set, with a drumming tour-de-force on the final song, "The Fruit on the Tree," acting as an exclamation point in regards to his originality. There's a point where the layers of percussion are just as layered and befuddling as the bass, and that's saying a lot. The final ingredient in this recipe is Vermillion's singing, which is extraordinarily gentle in comparison to the furious yet carefully structured instrumental attack. He sounds almost exactly like Markus Acher of German band The Notwist, which means he's defiantly wistful and distant. His calm voice brings all those layers into focus; this album would be woefully different--and probably vastly inferior--if Vermillion sang with the harsh and misfitted swagger so many indie vocalists employ these days. That reserve adds yet another layer to this impressive album, a dreamy and reflective layer that underscores a humanity amid all that precision.